As the telecommunications industry has evolved, so too has the range of services offered by CSPs. Subscribers now require on-demand media and communications both at home and on the go, giving rise to the ‘quad-play’ operator. CSPs are diversifying, offering not only mobile services but home telephony, home broadband and IP-TV services too. This approach is undoubtedly introducing new revenue streams for CSPs, but it also introduces new operational challenges. To ensure customer satisfaction and retention, operators now need to offer a superior quality of experience across all subscriber’s services. They require end-to-end visibility of both mobile and fixed networks to optimise performance and to understand customer usage and behaviour. Service assurance software that introduces the functionality to proactively predict customer impact is also becoming essential to delivering an exceptional service. Zen service assurance software gives CSPs a centralised platform to manage and optimise all quad-play services, correlating fault data, performance metrics and subscriber statistics to deliver actionable network insights. Zen mediates data from across mobile and fixed-line networks as well as third party solutions such as social media and trouble ticket solutions. This data is stored in a central data repository, and is correlated to provide an overarching view of all services, as well as individual services such as voice over LTE or IP-TV. 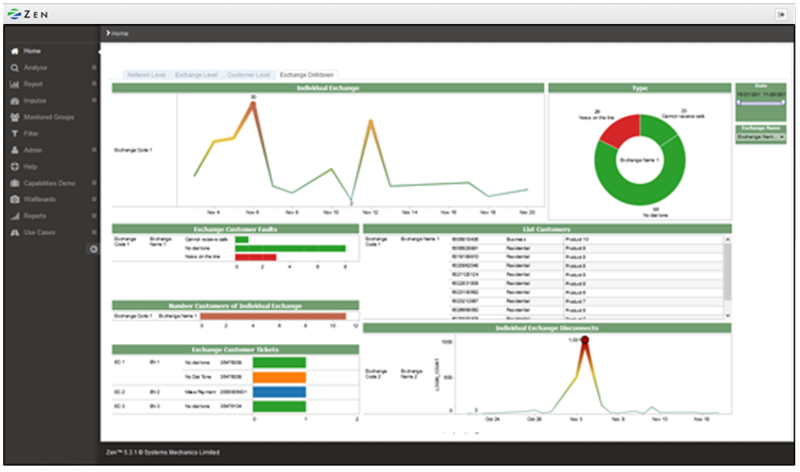 Service performance metrics are visually displayed in the Zen Quad-play dashboard, enabling network engineers to rapidly identify any services that are underperforming. They can then drill-down to that specific service and identify any causative network equipment across all network domains. By comparing service performance metrics with customer complaint metrics, CSPs can also develop proactive alerts to indicate performance issues prior to impacting subscribers in the future. Zen service assurance software provides CSPs with the functionality to monitor real-time quality of service, and troubleshoot network issues with an immediate impact on customer experience. With the rapid deployment of new data interfaces and dashboards, Zen service assurance solution also facilitates the rapid launch of new services. Zen gives CSPs the functionality needed to transform their operational processes from network focused to service focused. It enables cross technology call correlation, providing a single ‘voice call’ experience metric to operators. Zen also enables auto correlation of key customer investigative data sources such as NPS, passive probe and call trace data to monitor the quality of experience delivered to individual subscribers. Zen service assurance software provides CSPs with predictive customer impact analysis capabilities. Not only can network engineers trial network changes and compare to historical data, they can also create automatic alerts on service performance metrics with a high probability of impacting subscribers in the near future. A reduction in customer impacting issues and subsequent complaints improves satisfaction and reduces churn. 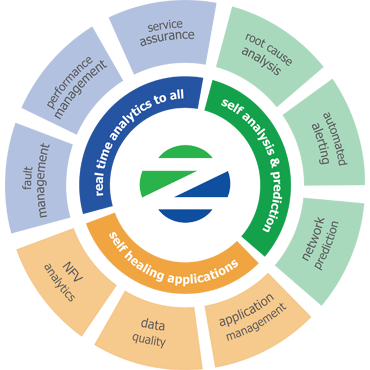 Zen service assurance software is technology and vendor agnostic, meaning it can access data from almost any source. This facilitates the rapid launch of new services, with immediate access to service performance data and management dashboards. The service assurance solution can be implemented as a stand-alone solution on top of a strategic data lake, or as part of a wider Zen Operational Intelligence platform, enabling future-proof OSS transformation. The launch of a new service such as voice over LTE requires immediate service performance monitoring to ensure its success and uptake by subscribers. Network engineers need to visualise the performance of the service across all network domains and continually rectify any issues impacting the QoS. The VoLTE Quality of Service dashboard correlates performance metrics from the radio, transmission and core domains to give top line VoLTE performance scores. Network Engineers can then drill down to poor QoS regions to investigate network issues, identify which network domain they lie in, and prioritise network maintenance and troubleshooting. A faulty exchange will often require a site visit to rectify the issue, therefore network engineers must efficiently prioritise resource for this. 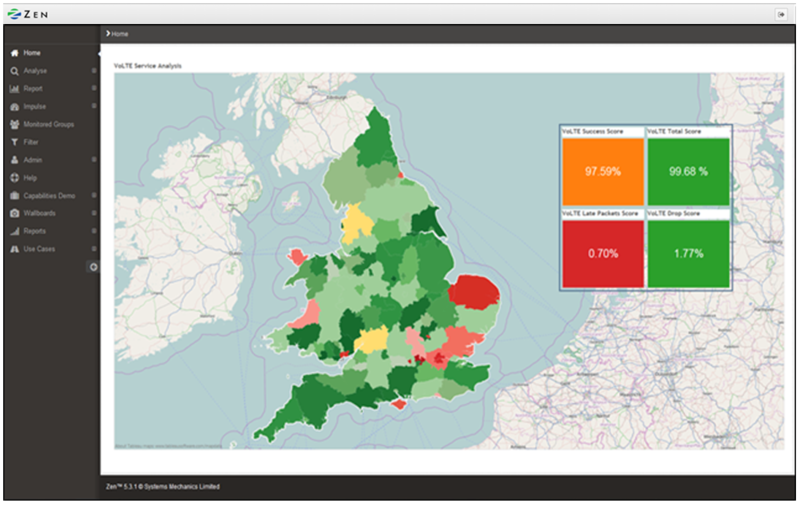 The fixed-line exchange drill-down dashboard combines exchange performance metrics with fault data and customer complaints to provide a complete picture. Network engineers can easily drill down to a faulty exchange, see both the number and types of customer complaints associated to it and prioritise activity based upon customer impact.